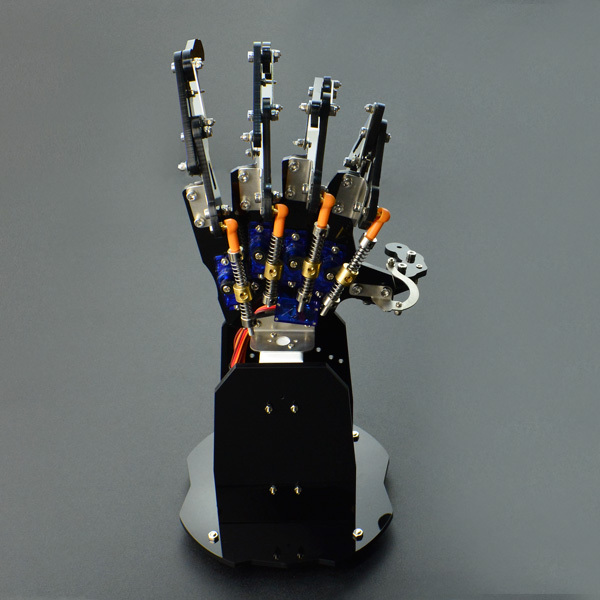 The bionic robot hand is made up of acrylic material. It consists of 5 micro metal servos, joints and one hand base. The special mechanical structure makes every finger can be controlled separately, all can move in certain range. And every finger has spring damping structure, it will protect the robotic hand from the mechanical stress effectively. With 24 channel Veyron servo driver, all actions can be controlled via PC software, supporting online debug and wireless control. 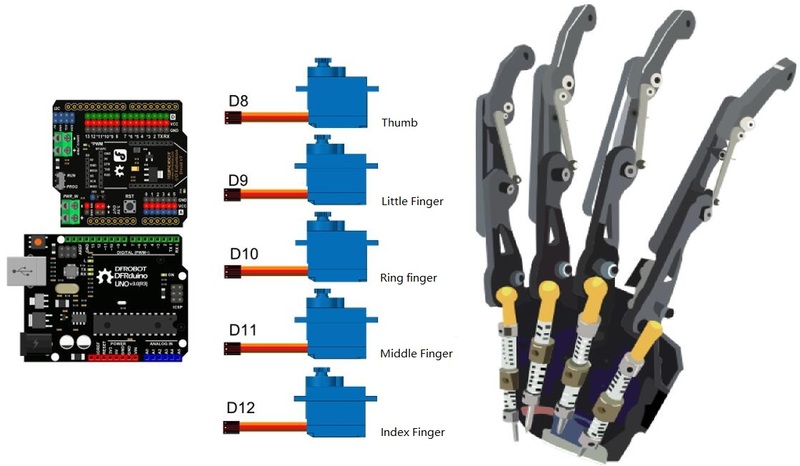 The bionic robot hand can be controlled by Arduino and other Servo controllers. It can grab 500g object, and it is the best option for DIY robot hand demonstration. The servo can be connected directly to the arduino IO expansion shield or the Romeo robot microcontroller, and arduino servo library makes it easier to use. Note: Please be careful with the servo control, even if there is damping structures on each finger, the non-standard operation will still damage the servos. In this tutorial, we'll demonstrate a simple way to control the robot hand. @n This example show 0-9 the 10 Numbers. Get [link Bionic Robot Hand (Left)] & [link Bionic Robot Hand (Right)] from DFRobot Store or DFRobot Distributor.